The Voeu setting embraces a sleek feminine silhouette with a romantic feel. 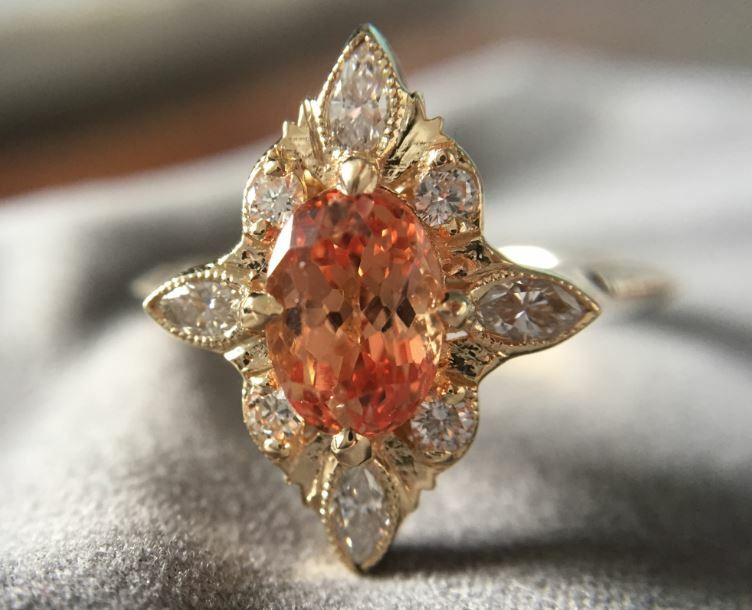 The inspiration behind this ring was to create a subtle organic feel, while enhancing the beauty and presence of the center stone with the contrast of round and marquise diamonds. The result is a ring that has a dash of an old world feel with modern lines that is perfectly flattering to the finger. The shank almost disappears onto the finger with a fine knife edge shank. 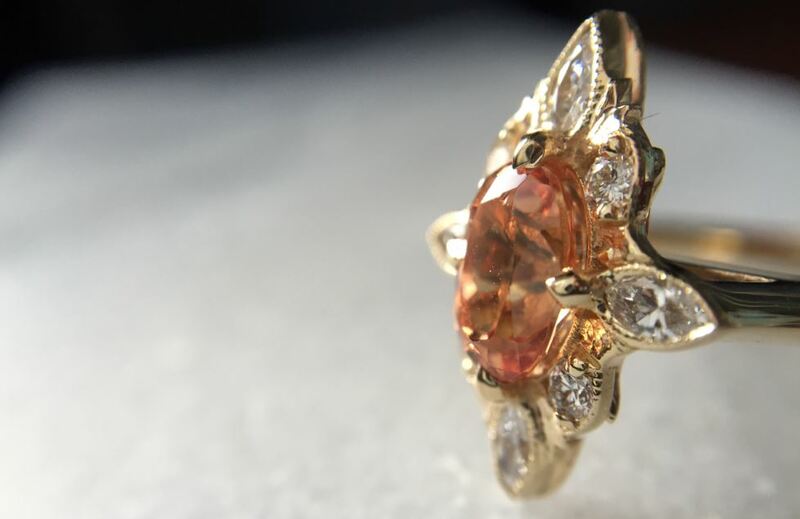 Shown with a 1.20 carat Imperial Malaya garnet in 14kt yellow gold. 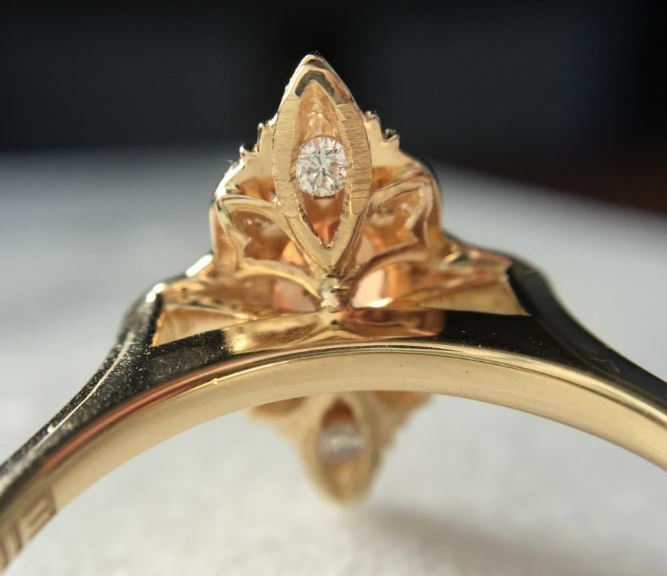 The Voeu ring is available by special order. Please contact us with inquiries.